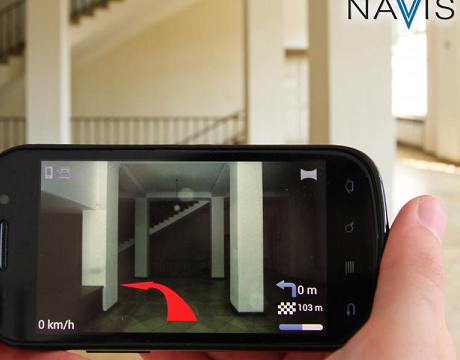 Indoor mapping startup NavVis secures €7.5M in new financing! The high-tech startup NavVis, which is specialized in the digitalization of indoor spaces, has successfully closed its latest funding round of €7.5 million. Target Partners and Don Dodge are joining as new investors and at the same time MIG Fonds and BayBG Bayerische Beteiligungsgesellschaft mbH are increasing their investments. NavVis develops an innovative technology for the mapping and navigation of indoor spaces and it must be noted that the company provides the only platform for end-to-end digitalization of buildings: From 3D mapping (patent-pending M3 trolley) to visualization (webbased IndoorViewer), to turn-by-turn navigation (NavVis App). And all this in a fraction of the time previously needed and at a significantly lower cost! The NavVis technology also opens a platform for third party providers in order to build innovative services on top of the digitized spaces, with applications spanning from logistics to repair and maintenance, as well as facility management and seamless navigation. Fenox Venture Capital invests in the world’s 1st Social Robotics Company, Jibo Inc.! Technion plans to open Campus in China!